This sentence is just awesome: "This is my blog and there is no freedom of speech here". I feel 100 % the same. I also gets lots of comments from surrogate clinics from India (all deleted) and some comments from - why don't you adopt - people (all deleted). 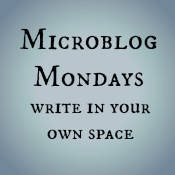 I also want my blog to be safe place for people, accepting childless life after infertility. I filter and delete spam, but I must not be on the radar for many of the commenters you note above. I would delete though. When spam appears, yes. If meanness (toward me or visitors) appears, yes. I delete all of the spam comments too. As most of the people reading my blog are, I too am way past the "miracle cure" or ovulation test hawing part of my infertility journey. I don't know if it's that I've been lucky, that I tend to not wander out of this little niche of the blogging community so I'm not well known, or that I haven't been at it that long (coming up on two years already though! ), but I actually haven't encountered any mean, spiteful, or hurtful comments. I've always said that when I get the first mean comment will be when I enable comment moderation, and so far I haven't needed to. A few comments may have rubbed me the wrong way or I might not have completely agreed with, but those stay, because they contribute to the discussion. I loathe the ads. It feels like they are singling me out to promote their product. So many of their comments are also insensitive. I'm sure bloggers with other diseases get some similar trolling and it makes me want to call for a general boycott. As far as other comments, I leave the ones that have a different view point from me. They are adding to the discussion. Trolls are an entirely different matter. Comments that are meant to silence or generally pick fights don't even get published. I've been fortunate to only encounter this a couple of times, but I have a similar policy about this not being a space for uncensored free speech. Especially since I don't consider trolls having any interest in thoughtful discussion. So far (*knock on wood*) I haven't attracted that kind of attention on my blog, but I completely agree - I'd delete those comments as well. Oh, yes. I love "no freedom of speech here." It is your space and you are the master of this domain, so I think deleting comments is completely appropriate. I used to delete comments before I enabled comment moderation. It's there not so I can silence voices that respectfully oppose me, but to get rid of both the "I bought a fertility spell and have my family now!" comments that are really ads and traps for vulnerable people, but also my awful ex mother in law who has decided my blog is fascinating reading and likes to comment every now and again about my ex-husband's amazing family and what a good father he is, blah blah blah. I don't need her crapping up my space. I don't want her to have one second of time live on there. Otherwise, it's just the ads you mentioned. I've been lucky to not have anyone be outright mean to me from a fertility/adoption/not-inducing-lactation standpoint, but I have had people disagree...Disagreement yes, meanness no. I completely agree with your policy. I totally agree with you - it's one thing to have a discussion or dialogue, a whole other thing to deal with trolls (who as far as I can tell have zero interest in empathy, discussion, or considering other points of view). So far, I haven't had to deal with a trolling comment on my blog, but I wouldn't hesitate to delete it if it came up. Spam comments are their own issue...on good days, I can just roll my eyes or even sometimes wryly chuckle at some of them but on bad days, I've had the occasional one that hit me in a tender spot. Definitely something I delete. Whoa!! So India is making (spoiling) her name in this area and these clinics are targeting people all around the world. You have all the rights to delete spam mails. This is your home and intruders shouldn't be allowed. Thank you for raising the subject. Being completely new in the blog world, I had not imagined this could happen (trolls yes, but not clinics trying to sell their "cure")... I would delete those comments, too. I do. I did a two months ago. In fact, I stopped blogging for awhile because was feeling so defeated after that experience (the post that brought out cruel comments was called Is Adoption Better Today? -- if anyone is curious). It wasn't because of ads. It was because a few commenters came over reading only the headline, and were less-than-kind in their words toward other commenters and me. I was called a dictator for editing/deleting, and I wear the title proudly for the same reasons you state here. Yes, I do delete comments whenever necessary. I chose to set my blogs so that anyone who tries to spam me by commenting on any older post will have to go through my approval first. I totally delete comments. When I wrote more, I had to do it more frequently. But sometimes someone writes something nasty. I'm fine if they just share an opinion I don't hold. But, when they get mean, I'm not going to have it. As Loribeth said - my blog, my rules!